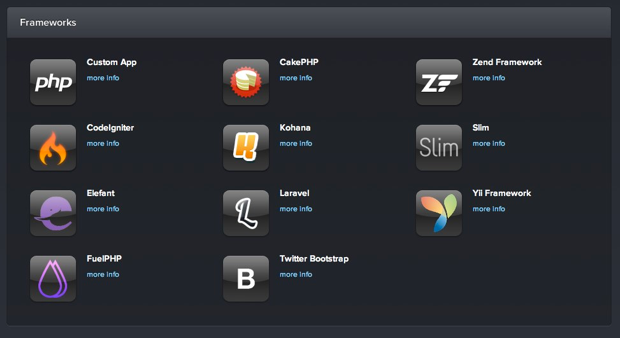 PHPFog is a cloud hosting solution for PHP applications. 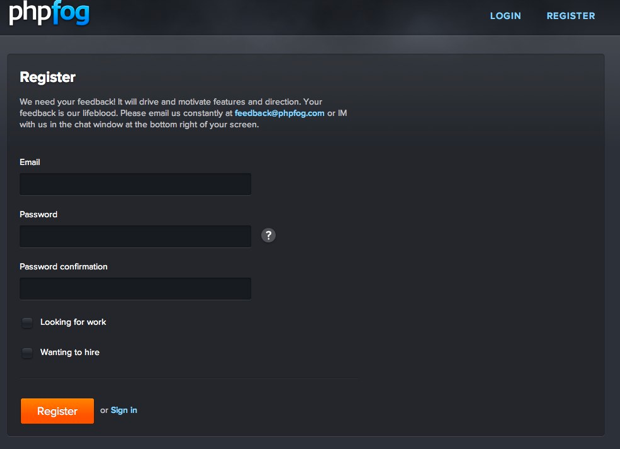 It offers a free shared cloud that includes access to a MySQL database, and the ability to add 3 apps to your account. The main idea behind PHPFog, is that it looks after all the server requirements for you, leaving you free to design and write your application. 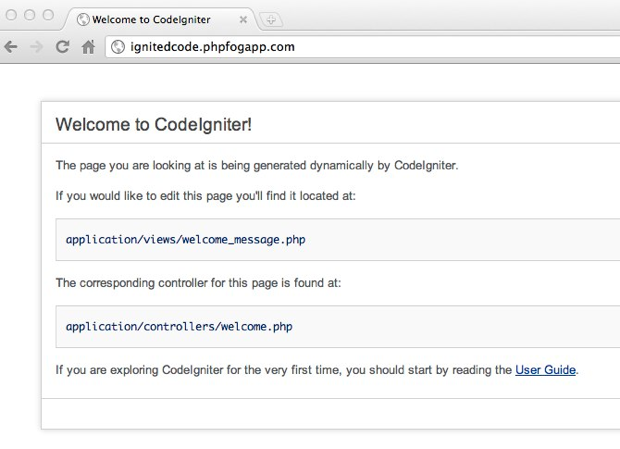 In this article, I will explain how to create an account with PHPFog, and set up your first CodeIgniter application. I’ll explain how this is done with the source code for your application being managed through the Git Source Code Management System. To get started, all you need to do is sign up for an account. This takes seconds to do, and will give access to to the app console. Notice that you can launch phpMyAdmin from here, and that the database connection information you need will be presented to you too. 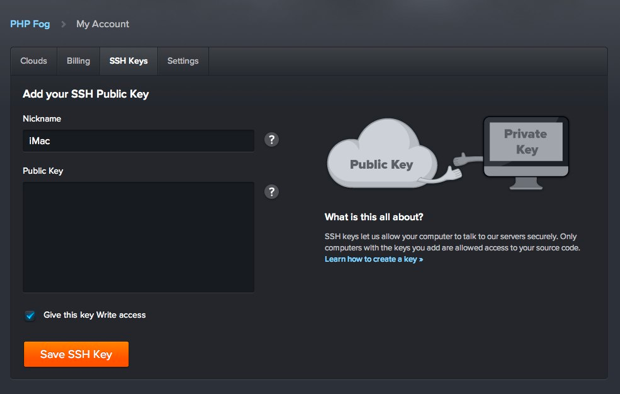 It might be that you have created a public/private key pair on your computer already. But if you haven’t you will need to create one. PHPFog have a very useful guide that explains how to do that. It covers Mac and Windows; the procedure for Linux is much the same as for a Mac. Now the fun really starts. I’m going to assume that you already have Git installed on your computer. If you don’t have it you can find it here. Obviously, the url will reflect the domain/account name you have chosen. You will see Git download the code from your PHPFog app into the directory you named at the end of the clone command. Now you can open the code as a project in your favourite IDE/text editor. Next we’ll make some adjustments to the configuration of the framework, and push the changes back to the PHPFog repository. You have just updated the source code on the PHPFog server in the last step. You can’t really see this change yet though. Also, although you have the database configuration information, you still need to add it to the framework so it knows how to talk the the MySQL database. Commit your changes, and push up to the PHPFog server again. 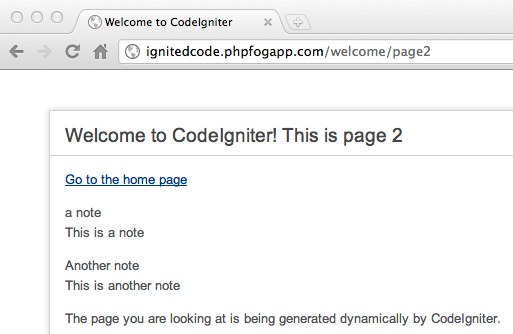 Refresh the site in your browser, and the CodeIgniter default page should appear. 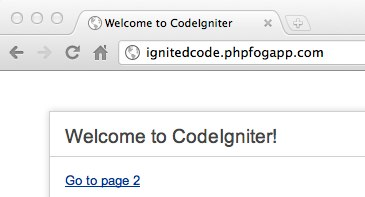 You might think nothing has happened, but if the refresh worked without error, in means CodeIgniter is now connecting to your database. Here, we can see that our simple code updates got pushed to the server, and we can also see that our pretty urls are working. I created a simple table called ‘notes’ via the phpMyAdmin installation provided by PHPFog. I added the following fields: id, title, note. Then I created a couple of test notes. Here, you can see that we are loading our notes model, calling the ‘get_notes()’ method, and assigning the results to an array ($data) that can be passed to the view. 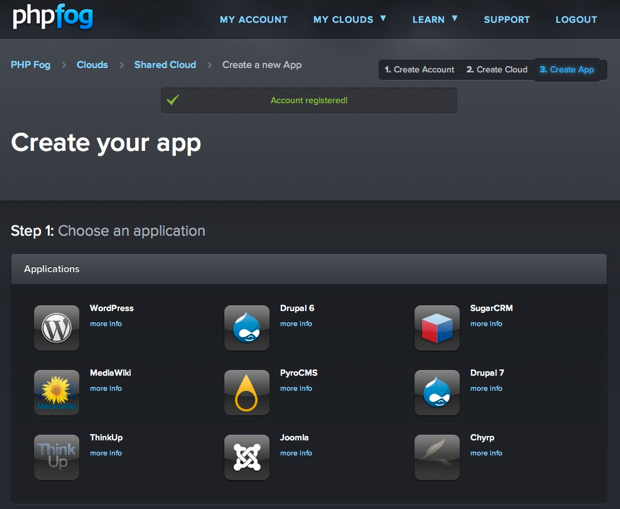 PHPFog makes it really easy to set up and deploy PHP web apps to the cloud. You don’t have to worry about the server set up, or databases, or any updating. It is all done for you. 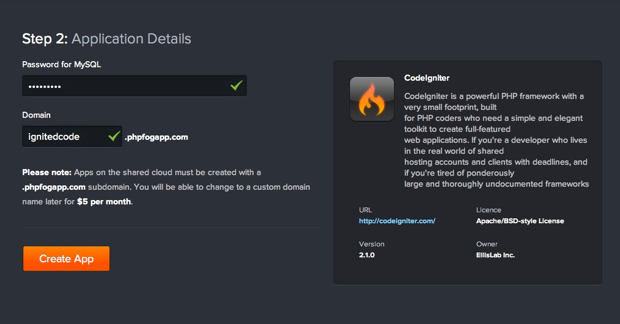 Coding on the cloud also makes it possible to streamline your own development tool chain too, since all you really need, is a text editor and Git. No more FTP pain!